“Do you ever feel tired during the day? Do you suffer from mild headaches?” The questions were coming thick and fast from Gabi Arad, of Israeli medical device maker Itamar, which is based in the ancient Roman town of Caeserea, halfway between Tel Aviv and Haifa. 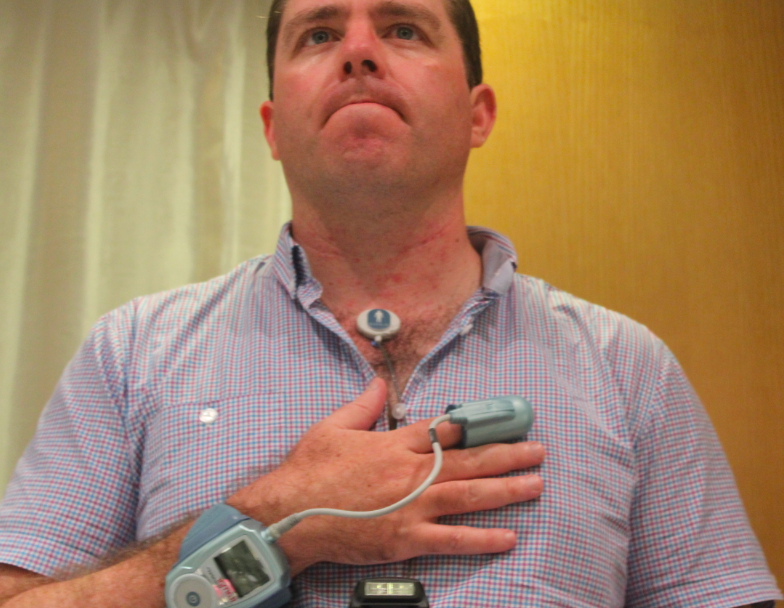 The previous night I’d worn to bed Itamar’s US$5,000 WatchPAT device, a bulky watch and sensors worn on my index finger and chest. I’d slipped into bed delicately, worried I’d rip the sensors out with my usual chaotic sleeping style. But I must have been subconsciously aware that I had test results to deliver – the WatchPAT revealed that I spent two-thirds of my five hours asleep in a supine position – lying flat on my back, the rest on my right side. The test also revealed that I’m a bit of a snorer for 30 per cent of the time I was asleep I was snoring away, peaking for a brief moment at 70 decibels. 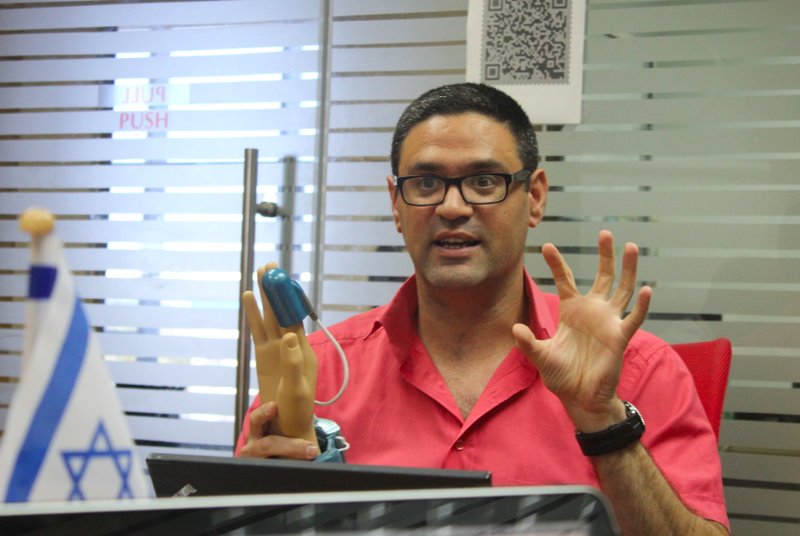 All of that was quite entertaining, but the purpose of Itamar’s device is deadly serious. It is designed to accurately test for sleep apnoea, a potentially serious sleep disorder in which breathing during sleep repeatedly stops and starts. – obstructive sleep apnoea (OSA) that occurs when the muscles in the back of the throat fail to keep the airway open, resulting in repeated breathing interruption. – Central sleep apnoea, which is less common, more likely to afflict people with medical conditions and happens when the brain doesn’t send the right signals to muscles controlling breathing. At its mildest, sleep apnoea can see a sleeper’s breathing pause for a few seconds, often followed by a snort as normal breathing resumes. But the worst case scenario is that it can shorten your life by putting stress on the body. The actual cost of treating sleep apnoea is estimated at US$2 – $10 billion in the US. The rest of the cost comes in treating diseases and disorders that can result from it, such as cardiovascular disease, renal disease,diabetes and depression. The cost of accidents from people nodding off behind the wheel was estimated at US$35 billion a year, costing around 1,500 lives. 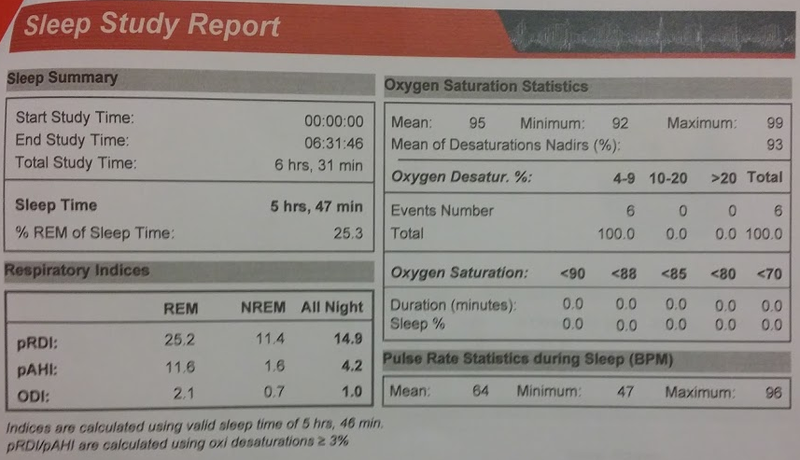 So sleep apnoea is a major problem. “Once you know you have sleep apnoea, it is very easy to treat,” says Arad. Typical treatments include an “oral appliance”, a sort of mouth guard that keeps the muscles working properly and the airway open. Another is continuous positive airway pressure (CPAP), a ventilator which applies mild air pressure to keep the airway open. Surgery is also a possibility. For mild sleep apnoea, Some doctors will simply encourage patients to loss weigh, exercise more and change their diet. But a lot of sleep apnoea cases go undiagnosed. 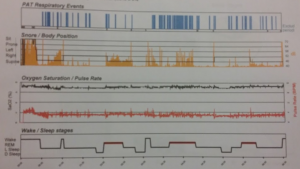 That’s partly due to the fact that the conventional accurate diagnosis for the sleeping disorder can involve a patient spending a night in a sleep clinic wired up to a machine checking vital signs. Even worse, up to 1 in 5 patients is misdiagnosed as not having sleep apnoea following a diagnostic study. Increasingly however, the alternative is overnight oximitry – going home from your doctor with a portable device like the WatchPAT. The wrist watch is connected to a sensor that fits over the finger and which measures arterial volume changes in the fingertip. It also measures sleep time, including wake, light sleep, deep sleep and REM (rapid eye movement), the latter of which is associated with us dreaming. Pulse rate and oxygen saturation is also measured, along with the aforementioned snoring events and body position. pAHI (Apnoea-Hypopnoea Index): Measures the number of apnoea and hypopnoea events per hour of sleep. pRDI (Respiratory Disturbance Index): This is the AHI plus all other phenomena that can disrupt sleep – this can include things like snoring. 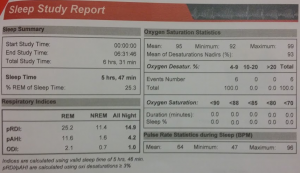 ODI (Oxygen Desaturation Index): This measures reductions in blood oxygen levels. Normal blood oxygen level (saturation) is usually 96 – 97%. Below that level and above 90% indicates mild oxygen desaturation, 80 – 89% is moderate and below 80% is severe. 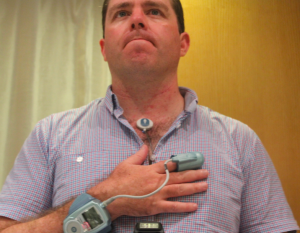 After wearing the WatchPAT for a relatively short night of sleep (5 hours and 47 minutes) I handed the device back in to Itamar and waited with trepidation for the results. 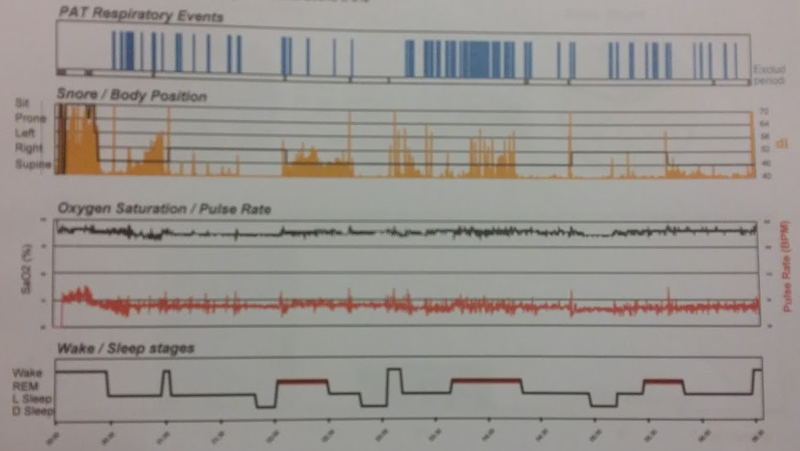 “These test results are boring,” says Arad finally, after a few questions probing for sleep apnoea symptoms like daytime drowsiness and headaches. 25% of my night’s sleep was in REM stage. 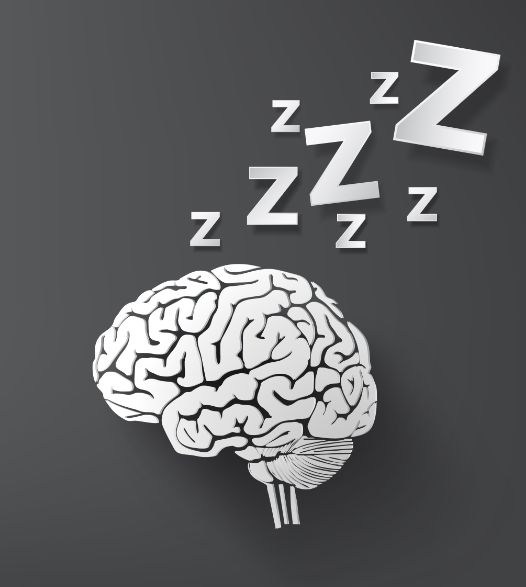 Adults typically spend about 20 – 25% of their sleep in the REM stage while babies can spend up to 50% there. Nothing out of the ordinary there. A journalist colleague of mine who also underwent the test didn’t have as clear-cut results. Arad recommended he talk to his doctor about the results at his next check-up. 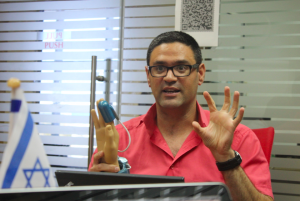 Such screening is relatively easy and inexpensive now, thanks to devices like the WatchPAT which Itamar sells all over the world. But what about the Jawbone Up, the Fitbit and numerous other devices that claim to monitor how well you sleep? Are they going to put the WatchPAT out of the business?